Disclaimer: I was given free Art in History kit in exchange for my honest review, and was not required to post a positive review. All opinions are my own. I was compensated for my time. This school year I wanted to make an effort to take our learning from out text books and experience them in real life. I think this is the best way anyone (not just children) can really learn and think about what they are being taught. I am always looking for a way to bring our school lessons to life. When it came to History I have been a bit stumped. We have tried to make do with great books that we’ve picked up at the library and looking for visuals online, but to be honest it left a sort of gap in our learning. Stoked is the best word to explain how I felt when I was able to get my hands on Art in History. I remember thinking it would be a fantastic way to incorporate hands on learning! What came with the art kit? What is the lesson guide all about? I was really curious about this part of the kit. I wasn’t sure how thorough, or if it would skim over the historical information. I was pleasantly surprised with how well this lesson was packed with great information. The lessons are not broken down in a “do this day 1, and do this day 2” concept, instead it flows as if you were reading an article. It is broken down into sections, so you can easily adapt this to a several day lesson plan. We choose to read this over a few days, and then the day we did the art project we read it from beginning to end once more. How will you know what designs to make, and what is authentic to each history art kit? In addition to having that explained in the lesson, I also love that they have four pages of sample motifs. How cool is that? Oh, and they are in full color too! When you purchase this kit you will be able to download the lesson plan via the Art In History website. She had so much fun making this! Love it and want it? Art in History is offering you all a 10% off of all orders over $100. 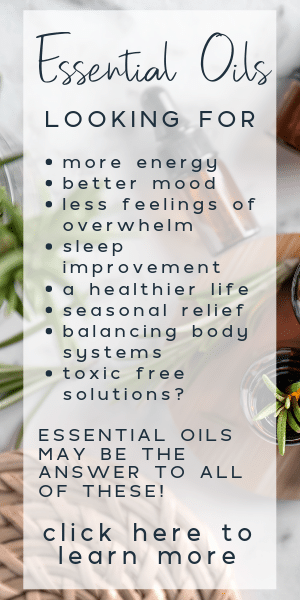 Simply enter coupon code HOMESCHOOL10 upon checkout. (Valid through 11/30/13). A note from Art In History: In addition to the kits, we are now selling our craft paint as well. AIH is happy to announce that we have created a paint line to meet the specific needs of the craft industry and the classroom. Our custom paints are safe, have no odor, are non-toxic, and conform to ASTM D-4236 safety standards. All acrylic paints are conveniently packaged in 2 oz. bottles. Our all-purpose paints can be used on bisque, wood, metal, plastic, and other general craft projects. https://www.artinhistory.com/art-projects/205/AIH-Acrylic-Paint.PLEASE NOTE: All historically correct paint colors are included with purchase of Artifact(s). Paint colors may vary depending on monitor variations. Don’t forget to check out Art In History on Facebook, Twitter, Pinterest, and YouTube! 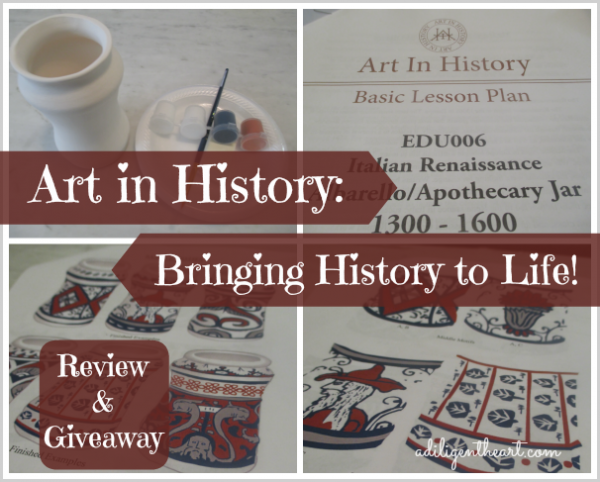 Win your very own Art in History Kit! Giveaway is now closed, and the winner has been notified via email. What a beautiful kit for homeschoolers! This is a great way to include art and art appreciation into our history studies. Simple easy and all inclusive just how I like it! I would love the Ancient Greek Drinking Vessel! Thanks for your You Tube video it is how I found you. These are wonderful kits! Thanks for the giveaway. I would like the Ancient Greece Drinking Vessel. We are studying the ancients this year and this would be a great hands on project! Love this! I think I am need the Greek vase for my girls. Hmm would make a great Christmas gift too. Oh my goodness! I absolutely love having an art lesson that reinforces a specific part of history. We are working through the Life of Jesus with our studies this year and I am excited to find Art in History! I am thinking that this would be a great way to incorporate school stuff in gifts to kids in our family. I would love to win anything that has to do with Egyptians. We have been learning about them and my daughter has been fascinated. I think I’m the most interested in the Egypt kit. Egypt is on our to-do list for history in a few months. It would make a great addition to our study. My kids would have loved these projects when they were homeschooling. They are grown now……I may buy them for my future grandchildren. So fun!! we’d love the face jug/Civil War! cool stuff!